This set of collar stiffeners is designed to create the sharpest collar around. 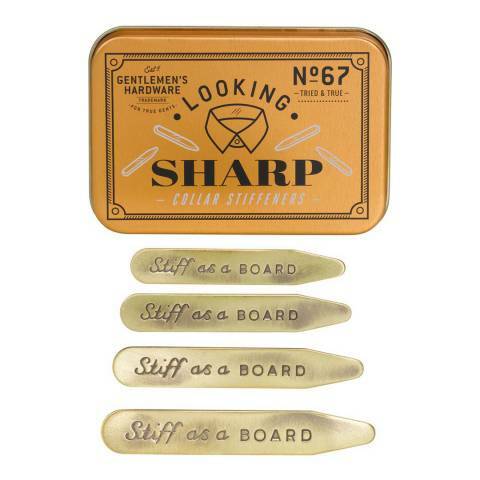 Two pairs of brass stiffeners each bear the words 'Stiff as a board' and come in one vintage-style gift tin. An essential accessory for any dapper gent's menswear collection.